Thoroughbred racing requires us to fight an ongoing battle, a battle for survival. I am not going to point out the mistakes we made over the years. I use the word we because I am convinced we must all fight this battle to make sure our sport not only is trying to grow, but trying its best to survive. Today the battle is to garner new faces, new blood, new fans, and preferably those in the demographic of young adults. We need to do this with an old sport. Trying to put anything old with something new has never been easy, if it was, then teenagers would love to go see old folks on their birthday and give the real old aunt a big smack on the lips. And we know that doesn’t happen. Besides the effort of social media and all the new bells and whistles of the high tech age, the television is still a good way to place our product before prospective fans. Justice is best served our sport when the people get its full visual effect. Watching the action of the sport can be exhilarating similar to what some folks experience watching NASCAR. But like anything else, the sale is often made not with the contents of the box, but how you wrap the package. For many horseplayers Breeders’ Cup day is one where the action takes place at home. So many of us now play via Advance Deposit Wagering (ADW) and we utilize various resources to have all the advantages of being at the track without having to go to the track. I’m sure many of you are like me. I play via ADW and turn the television on for the non-stop Breeders’ Cup coverage, even though the television coverage is not required to get the job done. This year the television coverage was like in the past. It is not interesting enough to watch, at least for the regular player. And, I suspect it was not interesting enough to those that are not regular players. I didn’t watch the coverage on Friday but I did tune in Saturday and paid attention the best I could. One reason I was going to watch the Saturday coverage was to try and see the presentation as if I was a novice. All races except the Classic were viewed on the NBC Sports network. The coverage on NBC Sports was like it always is and just not too good, in my opinion. For the most part the coverage is boring to those that do not know the sport. A novice sits there and listens to some guy talk about Beyer Speed Numbers and there is simply no way the newcomer knows what those numbers are. It’s like those of us in the know are keeping a secret. Of course, this is just an example. The bottom line is that we do not use the opportunity to recruit new players with actions and information that will make them comfortable. But then we left NBC Sports and went to NBC for the final hour and, of course, the feature race, the Breeders’ Cup Classic. The presentation seemed to be very much different. It was far more exciting. My wife remarked that it seemed like we were watching the Academy Awards. There was a greater romance with the horse. It seemed different and I liked it. I’m sure much of the content was considered the same by some, but what I liked was the way the package was wrapped. Is horse racing handicapping a game of skill? The current gambling laws in India are ambiguous. The Gambling Act, 1867, prohibits gambling and the setting up of gaming houses. However, it does not apply to “games of skill.” Several court judgments have discussed the difference between “games of chance” and “games of skill”. In 1996, the Supreme Court ruled that betting on horse races is a game of skill, and not just luck. Delhi, Karnataka, Maharashtra, and Tamil Nadu allow betting on horse-racing, provided it is conducted on race courses and through licensed bookies. Gambling on rummy is also allowed. “In a similar fashion, a game of cricket involves skills of players,” says FICCI’s Singh. Sheena McKenzie has written a very favorable piece for CNN on the sport of horse racing, specifically focusing on racing in the United Kingdom. In a new digital age, their fame was carefully cultivated. Marketing teams set up Twitter accounts, Facebook profiles, and pedaled merchandise online. Meanwhile, a record 130,000 punters attended the prestigious Epsom Derby in July, which launched Queen Elizabeth’s official jubilee celebrations, making it the largest sports crowd in Britain in 2012. Visiting the Gulf Coast of Florida this winter? If so, don’t miss out on this online deal. 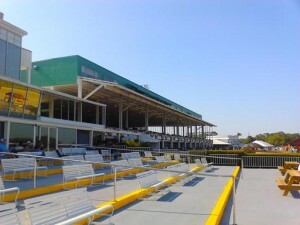 Tampa Bay Downs is back at it again on Groupon.com, offering discounted packages to the days of your choice at the upcoming 2012-2013 meet. They offered these deals last year and it was a great success for the track. Click here to join Groupon and then choose “Tampa Bay” for the city to find this deal. 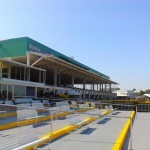 At Tampa Bay Downs, thoroughbred horses burst through the starting gates while spectators cheer for their picks and spend an afternoon basking in the amenity-rich premises. Visitors can wager on live and simulcast races, or wander into The Silks Poker Room and hunker down for a game of Texas Hold’em. The racetrack features numerous restaurants, grills, and bars as well as a fully-lit, 22-acre golf practice facility with all-Bermuda grass hitting stations, chipping greens, and a covered range. TRINNIBERG, Breeders' Cup Sprint winner. copyright Dennis Donohue. Horse racing handicapping is a game of skill. Period. Experienced horseplayers have an edge over less experienced players, but the beautiful thing about this sport is that one is always learning. Even the novice player can “out-handicap” or I should say outperform the more experienced horseplayer on any given day. There is always something to learn in this game and there are always ways to improve one’s handicapping. Last weekend (Nov. 2-3) I offered my Breeders’ Cup analysis in a paid format for the first time ever. I didn’t like the Friday card and the results showed that. I warned readers to tread lightly on Friday for that very reason. However, I loved Saturday’s card and fortunately things came together as hoped. As part of the full-card analysis, I also recommended 5 spot plays/wagering suggestions. Here is a recap of the Saturday Breeders’ Cup Spot Plays analysis. Top pick 4-1 Noble Tune finished 2nd. No spot play given. Top choice Groupie Doll won, paying $3.40. Spot play – recommended keying her in multi-race wagers. $12.00 Exacta wager given out. 3rd choice Tapizar scored big upset to the tune of $32.60. No spot play given. Spot play and Top choice Mizdirection won to the tune of $15.80, $7.40, $5.00. Recommended using in multi-race wagers and betting her across the board. Ending Pick-4 wager paid $1,757.65 for a buck. 3rd choice Shanghai Bobby won. No spot play given. Spot play and top choice Point Of Entry ran 2nd. Recommend using over Little Mike (among others) in an exacta. Spot play and Top choice Trinniberg scored to the tune of $29.40, $13.20, $11.00. Also, huge $203.40 exacta given out cold with 2nd choice The Lumber Guy! I have a new favorite horse and his name is Trinniberg. 3rd choice Wise Dan wins. No spot play given. 3rd choice Fort Larned win, paying $20.80. Trifecta paid $713.80. Spot play using Flat Out lost. Does Horse Racing Know Its Audience? “Twice a week, Amelia and Juan Rojas journey 40 miles from Waxahachie, Texas, to Lone Star Park at Grand Prairie. At the racetrack’s renovated simulcast facility known as the Bar & Book, they typically spend the entire day. 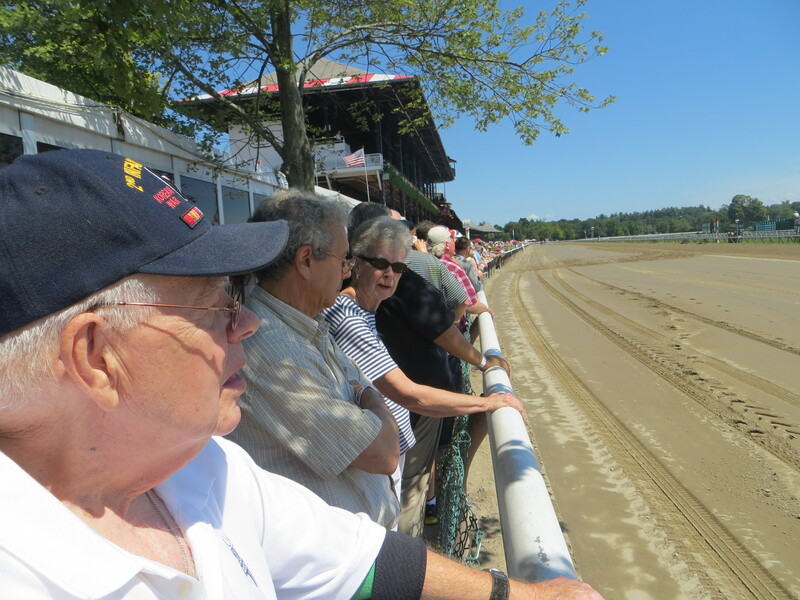 Seated comfortably at their carrels, they watch the action on individualized television monitors and bet on races from New York to California. This time of year, they follow the sport from Saratoga to Del Mar, with simulcast excursions to various racing locales in between. The One Minute Handicapper introduces the ground breaking “BETTING SITUATION” concept and makes it quick and easy for any handicapper to apply the proven concepts to an entire card. This innovative and unique concept is easily understood and profitable. First, let’s begin by stating that the “BETTING SITUATION” concept is NOT a system – instead it is the heart and soul of a book written by lifelong handicapper Frank DiTondo. It does not re-invent the wheel. But it is a time-tested, proven method, using the same readily available past performances, tote board and official entry information as the Pro’s. Most importantly, The One Minute Handicapper (OHM) will teach you how to consistently pick winners! The OMH book was turned into a powerful handicapping software package that uses the $1 BRIS PP data files. 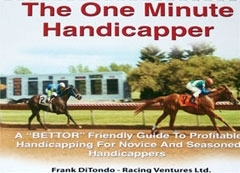 384 Page One Minute Handicapper E-Book – purchase it today for only $14.97 (FREE s/h) Instant download. 5 Pack of OMH Damp Erase Markers! Everything You Need to Begin Picking Winners like never before! The powerful OMH Software uses the $1 BRIS data files, so handicapping an entire card is also very affordable! Scrupulously designed and programmed, this uniquely innovative OMH Worksheet Software Program is to the best of our knowledge the only handicapping program of its kind and a technological masterpiece. Automating the completion of the invaluable OMH Worksheet, this truly user friendly program was carefully designed to eliminate overlooking any valuable OMH Betting Situations and save time by acting like a handicapping GPS to create a “Betting Situation” Worksheet road map to profitable wagering, with the TOUCH of a key. — Rich Nilsen, publisher, 10-time NHC qualifier, and former captain of the profitable Players’ Pool syndicate. Spot Exotic and Long Shot Wagers! The One Minute Handicapper will show you how to spot exotic and long shot wagers with double and triple digit payoffs. You will learn how to identify a true Overlay and see how longshots like BLUESPEEDWHITELIGHT jumped off the Worksheet and pointed to a $119.80 winner. How Overlay led the author to winner MAGIC ALPHABET and a $532.50 exacta. You will learn about the powerful, under the radar, rarely if ever talked about, long shot BETTING SITUATION gems, First Flash, First Time Lasix-1st Start and Reclaim. How First Flash pointed the author to live longshot COO COLD BIRD, a $49.60 winner and to 12 other winning wagers, including 5 exotic bets. The OMH shows how the author was able to single out PERILOUS PURSUIT, a $35.40 winner, from 10 first time starters with 6 on lasix and how Reclaim led to LAROVERINA, paying $44.40 and CHEDDAR, paying $43.60. BETTING SITUATIONS take the guess work out of picking winning exotics. Classic examples of winning wagers are LIGHTNING POWER/PINCH THE CLOWN and a $141.40 exacta and POWERSCOURT/KITTENS JOY for a $281.40 trifecta. There was no magic and there were no secrets, its all in The OMH and BETTING SITUATIONS. LIGHTNING POWER was 2-1 and KITTENS JOY 6-5. Both were favorites. The author cashed tickets on both. Save $20 today off the retail price when you order this powerful and unique handicapping software package today by visiting this page. If you would first like to read the e-book, then please download the PDF version of The One Minute Handicapper right here for only $14.97. Instant download. Please note the Print version of this best selling handicapping book is completely sold out! Experienced handicappers know that the fine art of handicapping is not a science. It is more than a numbers game because humans and animals are involved. Horses are flesh and blood. They feel good on some days, not so good on others. Jockeys and trainers are humans and they make a variety of wise decisions and equally poor mistakes. However, all too often, we fall into the trap of looking for the “magical” number or method to produce winners. There is no such thing. Playing the horse with the fastest speed figure last race will not work. Playing a certain post position will not work. Wagering on your favorite jockey will not work. What works is having a proper procedure for handicapping the races. What I present here is a suggested five-point checklist. One of the most underrated, yet one of the most relevant factors with horses is the distance of the race. Just like Olympic runners, horses have their own preferred distances. One of the biggest traps that handicappers fall into involves subtle differences in distance, e.g. 5 1/2 furlongs versus 6 furlongs. Theses “small” changes in distance can be extremely important. The Kentucky Derby (G1) highlights this fact every year. Horses who win going away at nine furlongs are sometimes found huffing-and-puffing at the Derby’s ten furlongs. The surface of the race can be just as important, be it on the turf or an “off” track. How a horse will perform at six furlongs on a fast track may be quite contrary to how he will run at eight furlongs (one mile) on an “off” track. This may be obvious to the veteran players, but one of the first questions a handicapper should ask is, “Is this horse suited to the distance and surface of this race?” If not, we are probably looking at a vulnerable runner or at least a horse you don’t want your hard-earned money. The handicapper has more questions to ask. Is this horse capable of winning this race? Has he already been defeated numerous times under the same conditions? For example, if this is an allowance race for “non-winners of two races other than,” check to see how often the horse has lost this at this level. In my opinion, if a horse has lost this type of race five or more times, chances are he will not win today. It would take some type of serious change, for example a trainer switch or equipment change, for me to consider a horse who is a proven loser at the level. In general, proven losers are bad bets. On the same thought, we must ask, “Is this horse fast enough?” The BRIS Speed Ratings, which are my preferred figures of choice, are very useful for identifying contenders and pretenders. Remember to keep in mind the distance and surface when analyzing speed figures. So what if the horse ran a 45 in that 9 furlong turf race last time out? Today, he is going six furlongs on the dirt. What was the figure the last time the horse ran under similar circumstances? Improving form is another essential factor. A horse may be a few points slower than other rivals, but if the horse has undergone a positive change (e.g. returned sharper since a layoff), he may be fast enough to win today if he appears to be “on the improve” or has a good reason to improve. Both the trainer and jockey are important, although the trainer, in my opinion, has a much stronger influence on the outcome. Knowing the strengths and weaknesses of the conditioners at the track is of extreme importance to serious handicappers. When runners change barns, via a claim or just a trainer switch, they will usually either improve or decline in form. Predicting this beforehand can give the handicapper a tremendous advantage. Trainers specialize with certain maneuvers. Take the case of Southern California trainer Ron Ellis. This trainer is a very respectable 12% winner with first time starters. But Ellis is a sensational 30% winner at a flat bet profit with second time starters! His runners are not pushed hard in their debuts, but they are ready to fire big time in their second starts. Knowing situations like the one with Ellis are essential to horseplayer looking to turn a profit. Jockeys are very important when it comes to rider switches and running styles. Certain jockeys tend to perform well when riding horses with a particular running style. Make it a point to notice how the jockeys on your circuit are winning. Are most of the wire-to-wire winners ridden by only a handful of jockeys? This is important to know when analyzing rider switches. Some of the best longshot winners have been a result of a positive switch to a jockey who utilized the horse’s running style. The pace scenario of the race in question, as well as the prevailing track bias, go hand in hand. Handicappers should be in tune to the general bias at the track from their own notes and observations or from reliable sources that offer online reports. In other words, what type of running style and post position is preferred for this race? Does the runner fit this profile? Serious handicappers will compare this knowledge to the recent track bias. If anything has changed during the course of the week, they will compensate for this change. For example, the inside posts may be ideal at this track, but if a sudden change in track bias has occurred (due to weather or other circumstances) then the astute handicapper will be the first one prepared to adjust…and consequently, profit. Horseplayers should analyze each horse’s running style in respect to the track bias and the expected pace scenario. Is there a lone speed horse on this speed-biased racetrack? If closers are winning, then who has the best finishing kick? There are numerous scenarios, but the point is clear: Compare the horses in the race to what is winning on this racetrack. Finally, demand value at the windows and don’t opt for a horse just because he is lower odds. A fellow horseplayer recently told me that he found an outstanding longshot based on solid trainer stats, but he only used the horse underneath in the exactas. Who did you think he use on top? 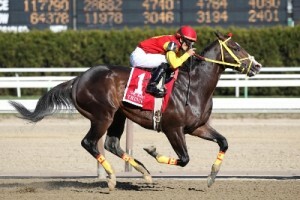 He used the favorite who was ridden by the leading “big name” rider, because he felt that this horse would probably win. Of course, the longshot rolled to victory and the favorite finished second. The disgusted handicapper failed to cash on the race, even though he had pinpointed an excellent longshot. Sounds ridiculous, but haven’t we committed similar mistakes? 1 – The horse is suited to the DISTANCE and SURFACE. 2 – The horse is shows the ABILITY to win today’s race. 3 – The horse has positive connections, especially in regards to the TRAINER. 4 – The horse fits the PACE scenario and TRACK BIAS. 5 – The horse offers VALUE on the tote board. The ideal wager does not come along in every race or every day, but a horse worthy of “best bet” status should meet the above criteria. Best of luck! Last week I was lucky enough to spend a few days at Oaklawn Park and broadcast the Rebel Stakes (G2). It is a beautiful little track, dotted with Bradford pear trees and redbuds and blessed with some of the nicest customer service people on the planet. Despite all this charm, I have never bet Oaklawn on a regular basis. My last trip there was in 1983, when I went to saddle Pewter Grey for the Razorback Stakes. Most of my life I have lived on the West Coast and the rest in the Eastern time zone. Central time zone tracks never seem to fit into my busy schedule. I’m always careful when I go to a track I don’t follow. I love handicapping and I love horseplaying, but it is best when you are at a strange track to temper your enthusiasm for wagering, or at least your wagers, until you get a feel for the place. Take less money. Remember, you are out of your element. If you were at your home track, you wouldn’t plunk down lots of cash on a first-time starter from an obscure barn, being ridden by a jock you’ve never heard of. If you don’t regularly play the track you are visiting, every bet is just like that. If you bet $200 a day at home, take $100 and be most careful on the first day of your trip. Watch a few races. My Uncle Earl was not the racing aficionado that my father was, but he would often accompany my dad to the track. An engineer for IBM and very analytical by nature, he never made a bet until at least the fourth race. He liked to see how the track was playing, how the jocks were riding and just get an overall view of what was going on before he ventured to the windows. This is good advice on a racing vacation. If you must bet, keep the wagers small and analyze the results of your handicapping. Most importantly, check for a track bias. The three days I was at Oaklawn proved to me that closers are at a distinct disadvantage and horses that make the lead into the stretch get home on top most of the time, especially in races using the first finish line. Read the “Standings” page in your program. The leading trainers at the meeting have barns of quality and their horses have obviously been running well. The leading jocks have the best agents who have their pick of mounts. Let them guide you a bit. It doesn’t mean you have to turn things into a chalk fest, but be aware of the top players. During my recent Oaklawn visit, the leading trainer, Allen Milligan, popped with a first-time starter at a $132.80 mutuel! Gravitate to the best races. Any horseplayer worth their salt knows that a Grade 2 stakes is much more predictable than a conditioned Arkansas-bred $7,500 claiming race. 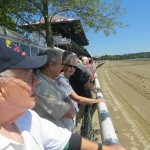 It is good to adopt an elitist attitude as far as handicapping on a racing vacation. The best races at almost every track, every day, are late in the card. Go easy on the early races and save your prime bets for the allowance and stakes races later on. See the sights. Use every race that you pass as an opportunity to check out the facilities and talk to the fans. Go to the gift shop and get a t-shirt to remember your trip. Visit with the locals and get some insight. Take a trip to the paddock. Watch a race from the rail. Eat the track’s signature dish. (At Oaklawn it is the corned beef sandwiches.) Drink it all in. Hay, I am all in favor of making a major wager when the opportunity presents itself, so if you fancy an overlayed steed at a track you don’t usually follow, “be bold and mighty forces will come to your aid.” The rest of the time, keep these concepts in mind. It is o.k. to lose your luggage, but don’t lose your bankroll. 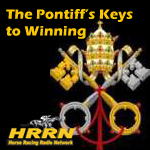 The Kentucky Race Track Chaplaincy, a division of the Race Track Chaplaincy of America, is among the two official named charities of the 2012 Vinery Racing Spiral Stakes (G3) at Turfway Park on March 24. Last year Animal Kingdom won the Vinery Spiral Stakes in his final prep before upsetting the Kentucky Derby. The KRTC oversees chaplaincy programs at Turfway, Ellis Park, and Churchill Downs, and employs five full-time chaplains. As an official named charity, KRTC will have a race named in its honor, and will receive matching gifts in the winner’s circle from Vinery and Turfway Park, in support of the Turfway chaplaincy. It will also be receiving cash donations, and auctioning a selection of premium artwork and electronics. 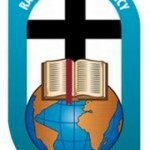 “What a great opportunity to showcase a wonderful ministry,” said KRTC president Pam Sears. Turfway’s chaplaincy has operated a successful food pantry and clothes closet for many years, as well as worship services and pastoral counseling for workers on the backside. Turfway’s chaplain, Tom Farley, had a long and distinguished career before his recent retirement, his successor to be named in the coming months, according to RTCA director Paul Ransdell. The other named charity of the Spiral Stakes is the Blue Grass Farms Charities. 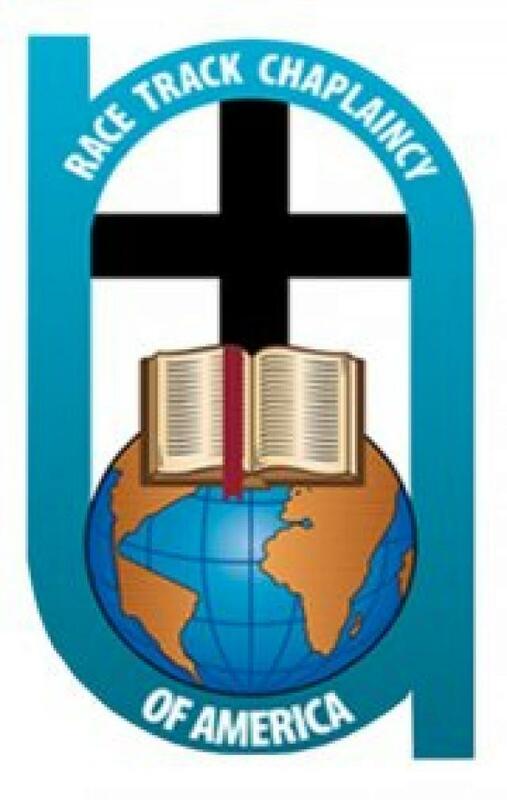 For more information about the Kentucky Race Track Chaplaincy or to support this wonderful cause, go to www.kychaplaincy.org or contact RTCA’s National Service Center at (859) 410-7822.